"Our commitment is to superior patient care for the whole family by presenting professional Optometric care with the personal service your vision deserves. "The eye doctors at Village Visions and Optivision believe in looking at the big picture when it comes to your eye health, so we take the time to get to know you, your eye care history and your vision needs. Doctors Maurillo, Shiomos, Howard and Boscia know that getting the right prescription involves balancing several factors, including clear eyesight, visual efficiency and your ability to process visual information seamlessly. Whether you need a routine eye examination, an eyeglasses fitting or treatment for eye disease (such as glaucoma or macular degeneration) our optometrists will provide you with the best care, advice, options and follow up. Village Visions and Optivision have been serving New York's Skaneateles, Cortland, and surrounding areas for more than 40 years. Schedule an appointment with an eye doctor to see how we can help you get the best prescription for your eyes. "Quite thorough and explanation of changes in script were very clear." "Been coming since 2nd grade and wouldn't have it any other way! Twenty somthing years later and Im still seeing well!" "Professional staff, very exact and thorough examination using state-of-the-art instrumentation." "Very happy with the service. The staff is very knowledgeable, friendly and accommodating." "I have been a patient of Dr. Maurillo for many years and I have always received top-notch care for prescriptions of both contacts and eye glasses. Dr. Maurillo provides expert care in a caring and friendly atmosphere. He has my highest recommendation!" "Everyone was very pleasant & made my visit a good experience.It was also nice to see Ruby there.Made it seem more home like." Please visit our office to see our latest technology for eye exams! 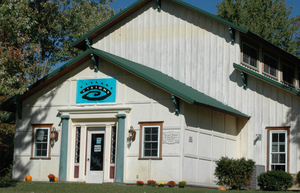 Welcome to Village Visions serving Skaneateles and surrounding areas. Welcome to Optivision serving Cortland and surrounding areas.